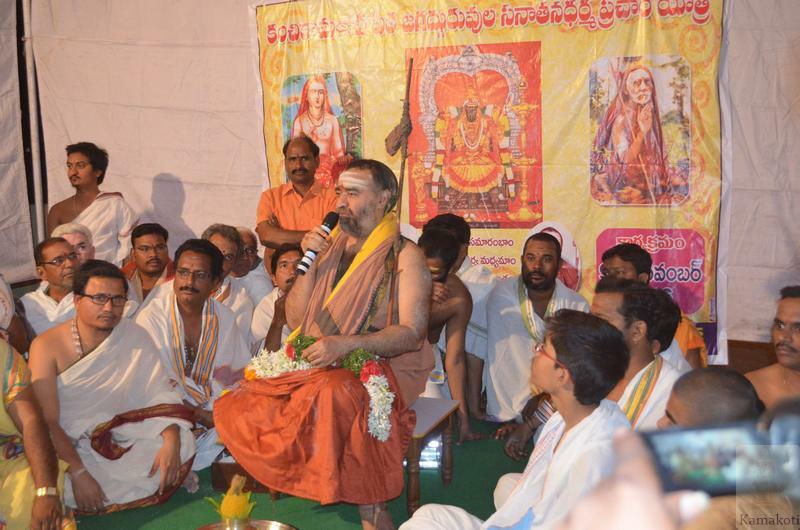 His Holiness Pujya Shri Jayendra Saraswathi Shankaracharya Swamigal & His Holiness Pujya Shri Shankara Vijayendra Saraswathi Shankaracharya Swamigal arrived at Nalgonga town, Telangana State on 9th Nov. 2016 late in the evening. 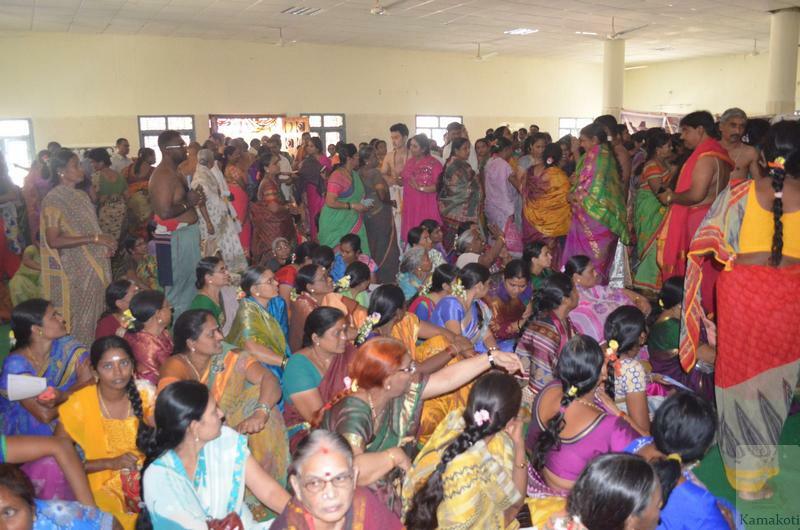 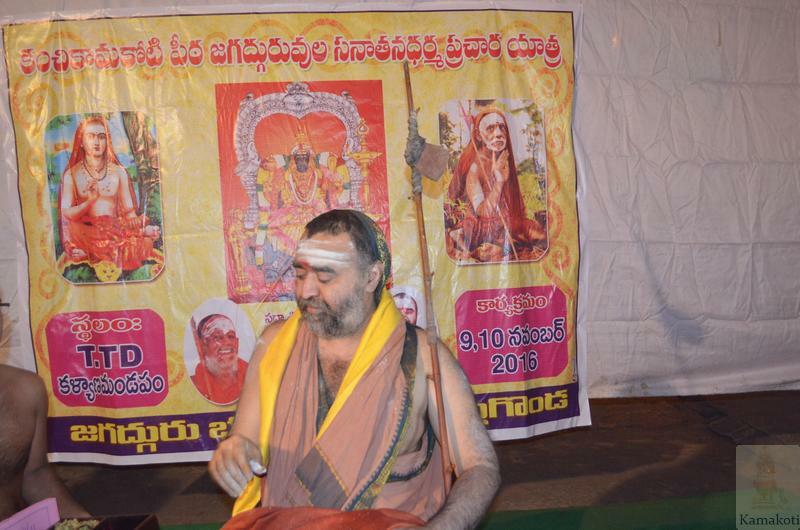 Earlier in the evening Pujyashri Acharyas blessed devotees in Shankar Math, Skandagiri, Secunderabad and left at around 3:45 pm. 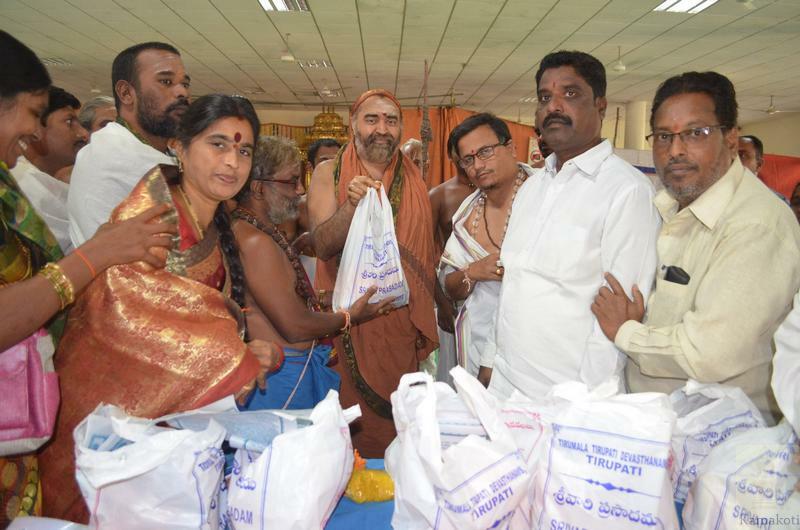 Enroute, Their Holiness blessed Kamakshi Sri Vidya Peetam in Ramoji Film City area. 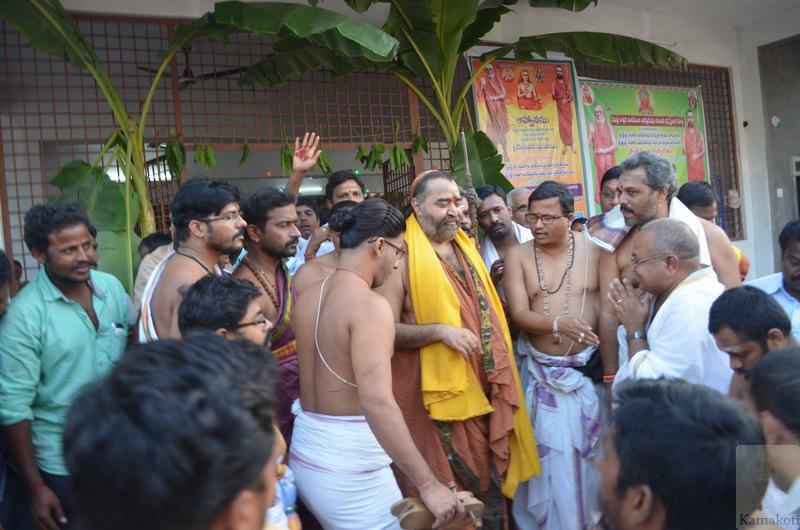 Pujyashri Acharyas were then received at Myryalaguda by devotees and taken to Sri Vinayaka Temple & Satsang Hall. 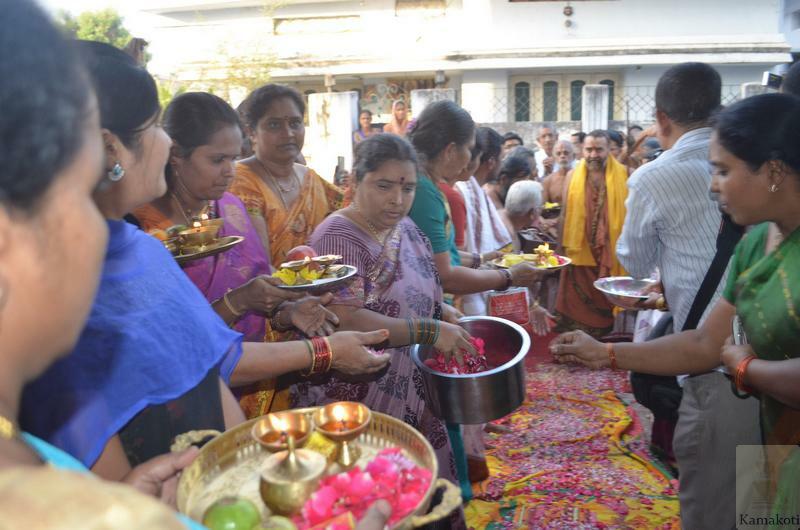 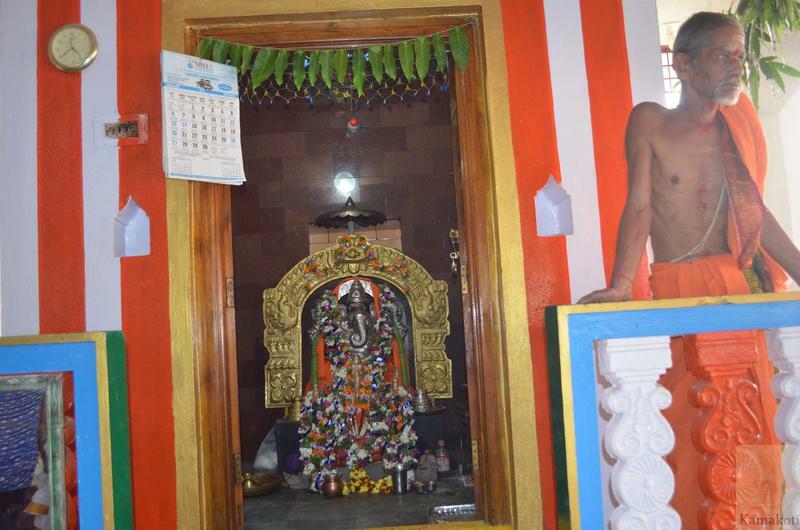 The local Brahmana Samaj has built the Mandapam for the benefit of the community. 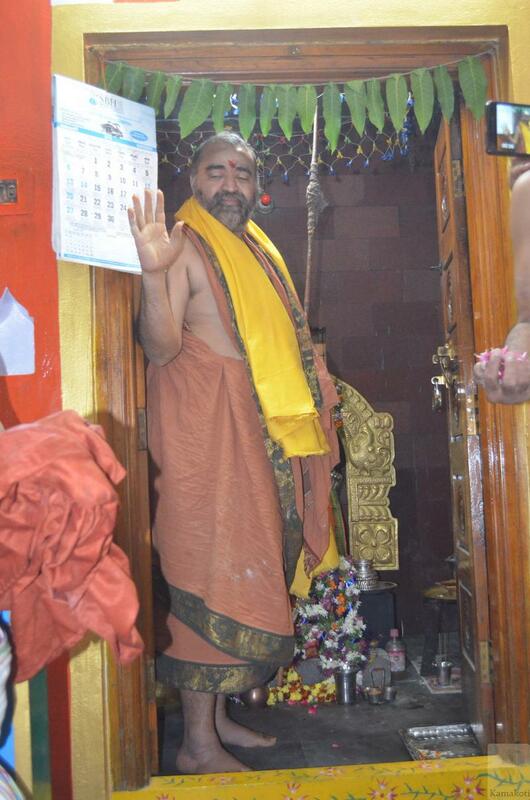 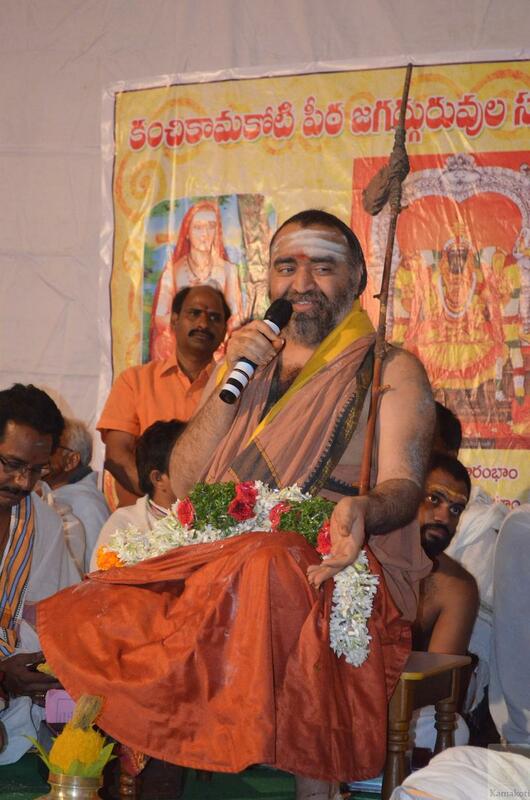 After a brief Anugraha Bhashanam, Acharyas left for Nalgonda town. 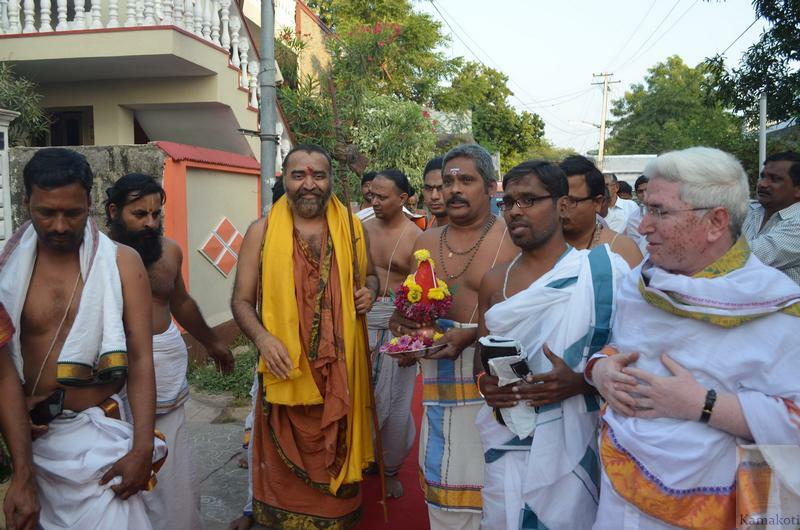 While His Holiness Bala Periyava visited the Shiva Temple in Cheruvu Gada, His Holiness proceeded to Nalgonga. 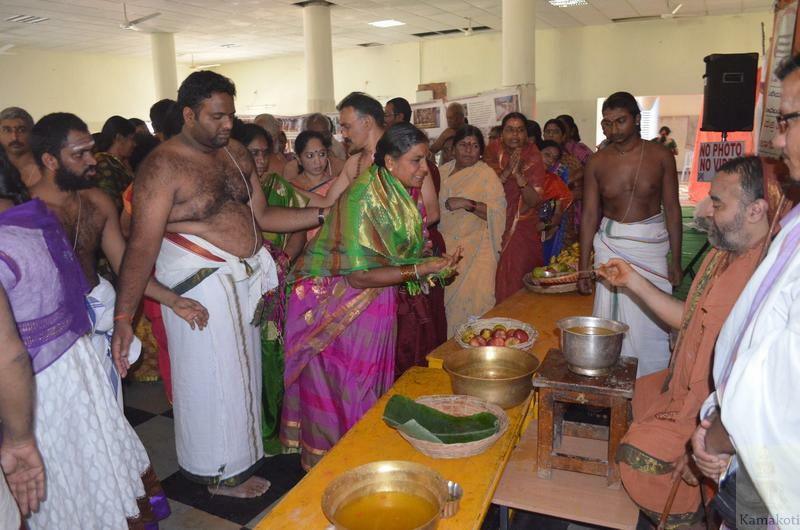 Traditional welcome was given to Their Holiness. 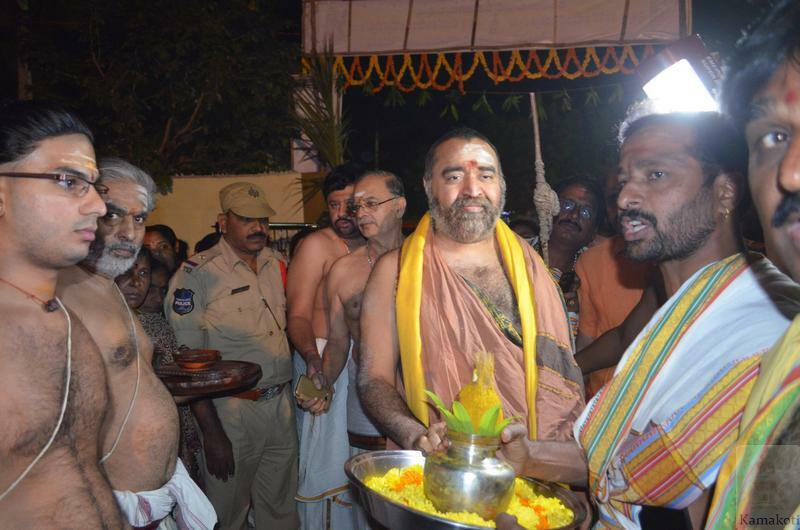 His Holiness then proceeded to TTD Kalyana Mandapam, place of Chandramouleeshwara Swamy Puja and gave Anugraha Bhashanam to the assembled devotees.